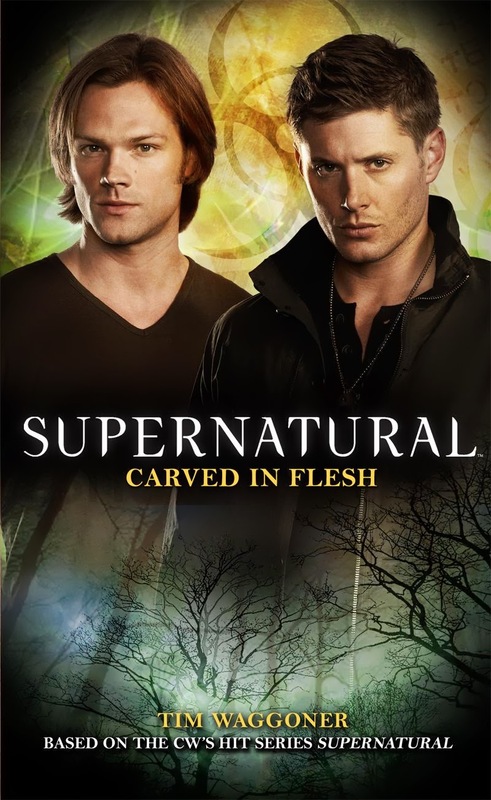 Titan Books were nice enough to give me a review copy of their latest Supernatural tie-in novel, Carved in Flesh. I'll be posting my review of the book soon (Posted! ), but wanted to also get a giveaway going, as I like to spread the love, as it were. Below you'll find the synopsis of the book and how to enter the giveaway. Synopsis: After Sam and Dean Winchester lost their mother to a mysterious supernatural force as young children, their father taught them how to hunt and destroy the paranormal evil that exists in the dark corners of America. Following their father’s demonic death, they discovered that they are descended from a long line of hunters and chose to continue their mission. For more information on this and other tie-in novels, visit Titan Books. There are three ways for you to enter, which means three entries to win. So, the more of these things you do, the more likely your chance to win! The giveaway will close on Friday, July 12th, at 11:59pm PST. Posting a comment, looking forward to your review! Oh, Oh, Me, Me, I want! Pretty please!